Hello and Welcome my peeps! I hope you’re having an absolutely fantabulous week. I’ve something good for y’all today. Something that is going to be so beneficial to you in your life and especially in your relationships. It’s funny because I’m so the opposite. When I get my phone I’m just so excited to use it that like a year later I’ll learn something new and say, “I didn’t even know it could do that!” and my husband will give me a look that says something like, “well…if you had read the instructions you would have known.” So either way, whatever kind of person you are: instruction reader or a rebel, like me there’s a place for you in this world, my friends. Instructions do come in handy sometimes because they tell us how to operate the object; what to do, what not to do, what dangers might be involved and what precautions to take. I didn’t actually look at the staplers instructions but I imagine it said something to the effect of keep fingers away from point of impact? Too often we say things like, it’d be really nice if humans came with their own instruction manuals. Especially when our baby is crying. It’d be so convenient to just whip out the operating manual and read that chapter. And while we don’t have a tangible book of how to’s for the other person there is for sure, a manual. Each person has their own manual that they write in and add to all the time. In fact, we have these really, really, really large manuals that we’ve “written” in our minds about how we’d like to be treated and how others should operate around us OR (there’s always a tag) we’ll feel something. Your emotions are always tagged onto these rules you’ve written. 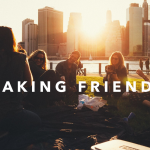 Some of our chapters include things like: Friends, what they should do and what they should never do. An example would be something like: When they don’t see me or hear from me for a little while (whatever that means to you, 5 mins kind of a while or 5 days) they SHOULD call you so I will feel loved and important. They should wonder what’s happened to you. They should miss you and want to reach out so you can feel thought of and missed. Here’s another: They should never go somewhere without inviting you first or you’ll feel left out. They should never talk about you or you’ll get offended. They shouldn’t criticize you and most importantly, they SHOULD remember your special day and call you, bring you something fabulous, or whatever it is that you write in your operating manual OR you’ll feel a certain way. 1.) They’re invisible and the chapters change all the time and for different people. Like, my besties better call me on my birthday or I’ll feel hurt but my friend from school that I only kinda, sorta know is off the hook because how would they even know, right? So no one can “see” or “read” these manuals. They have no idea how to operate around you or what you’ll feel if they do or don’t do something. It’s confusing. 2.) You’re not about to share you manual with others. They should already know! Sometimes we chalk this one up to common sense. Like, everyone knows that. But that’s not the case, there isn’t one way, one rule, one path kinda deal. Everyone has their own thoughts and opinions about how things should be. My kids love Studio C and there’s this episode where they’re making a PB&J sandwich. Do you know which one I’m talking about? Each person has their own, very clear way of how it should be done and each one is like, what are you doing?! It’s like this…obviously. But it’s not obvious because in their minds it should be different. Other times we don’t share our manuals because we think they should already know. In this case it’s more like, they should just know that this is important to me and when they don’t know that, you get offended or sad and you make it mean all kinds of hurtful things. But the problem isn’t that they don’t like or love you or that they’re deliberately trying to do something negative. It’s simply that they don’t operate from the same manual as you. This last week I was at the store with my youngest and he wanted to scope out the toy section. We went to this store, TJ MAXX or Marshalls or one of those places. I went in looking for just one thing and so I didn’t grab a cart or anything and when I saw that they didn’t have what I went looking for I was ready to leave but my son wanted to go look at all the toys first so we meandered to the back. I didn’t register what she had said at first. But her tone and the volume caught me by surprise. I turned back to see who she was talking to and realized that she was referring to me! She stood there glaring and me and giving me the stink eye. Now, you know those moments where time stands still and you have a zillion thoughts all at once? This was one of those times. Immediately my mind went into defensive mode and I thought, “What? No way, there’s TONS of room next to them, like a good four feet at least around them. I wasn’t even close to them. I didn’t have a basket or anything that would come near them. I didn’t think what I did warranted saying anything. Then my mind shifted to, No wait, if she knew me, she’d know that I’m always polite and kind. Maybe I should tell her that. Then it went to, no…she looks aggressive, she probably would be receptive to that anyway. Then I went back to, she shouldn’t have said that to me! That was rude!” and on and on it went in just a matter of seconds. And as I was having this moment – this panoramic moment where time stretches it dawned on me. Nothing was wrong. We were simply experiencing differing manuals. See, in my manual, if you’re in a store and there’s a wide berth around you, you’re good to go my friends. No exchange of words needed. Just go right on your merry way. But in her manual, it’s different. She has written something like, “If you come anywhere within 4-6 feet of me, you should apologize or ask if you can walk by me or I’ll get offended.” Neither way is right or wrong. They just are. When I could see that, when I could see that she was just operating from her manual- a chapter of which was perfectly common sense to her, like a no brainer! But to me, it never crossed my mind that that would be an issue for her or anybody. I didn’t have to tell her my side and make her try and see my point of view. I didn’t need to try and “fix” anything because there was nothing to fix. It was just a difference of manuals. Everything she was saying, thinking, feeling, doing had nothing to do with me. It was just about her, her thoughts, feelings, and actions were all about her and her preferences. But in her mind, it’s a given, it’s common sense, other people should just know and operate from this space. Are we starting to see the problem with our manuals? We have these rules for others and how they need to treat us for us to feel a certain way. Why is this a problem? You might want to back and listen to episode one if you don’t know. But I’ll tell you, it’s because you’re expecting them to take care of your emotional bucket and they CAN’T and really, do you even want them to? Why would this stranger put me in charge of her bucket and how she likes it filled when she doesn’t even know me? Why would she let my actions offend or anger her when we’ll probably never cross paths again? So here’s the real deal with that…if you heard episode one, you’ll know that you CAN’T add or take away from someone’s bucket just like they have no access to yours. YOU are the sole keeper of that and you decide what to do with your bucket in conjunction with your manual. You write in there, if someone walks by me and doesn’t say excuse me, I’m going to empty some of my bucket. Which sounds ridiculous but that’s what we unknowingly do. Which brings me to the third reason that keeping these manuals is a problem: each person has certain expectations of others and sometimes we view these as “Needs”. We “NEED” other people to treat us a certain way for us to feel something. But we also know, they can’t make us feel something – whether that’s hurt or happy. We’re the only one’s that do that. So what can you do then? Drop all expectations? Should we all just allow other people to act, say, behave however they’re going to? Just let them say whatever they want? Do whatever they want? Think whatever they want? YES, yep. You might want to consider that. You might want to consider tossing your manual OR adjusting it. Other people have their free agency and they’re going to do whatever they’re going to do anyway. We don’t allow others to do certain things, we don’t control them. They just do them. It’s in the arguing with their actions, that they should or shouldn’t have done something that causes us pain. Anytime you find yourself using the words SHOULD or SHOULDN’T, you’re operating from a manual. All of our frustration, pain, suffering is caused not by the circumstance itself but by our thoughts that things should be different. It’s caused by a chapter we’ve written in our manual about how things should be and so when they’re not that way we get upset and it creates pain, negativity, suffering. Think of the last time you were upset, frustrated, or offended? Was the root of it a line from your manual? Did you think the thought that something SHOULD or SHOULD NOT have happened? They shouldn’t have done that or said that! Or they should have…what? What should they have done? Remember, anytime you’re using the words should or should not – you’re operating from your manual. Then ask yourself, what’s the upside to keeping this chapter? Is keeping that thought helpful to you? or is keeping that thought only creating pain for you? I’m not telling you to get rid of your manual or adjust it or do anything. I’m simply offering you an opportunity to see why you think and feel certain things and it’s because of this manual that you’ve written. It’s your manual. You’re the author and as such you can make revisions or cuts at any time. Also, If something is important to you and you’d appreciate if other’s operate from that rule you’ve written then you might want to tell people and no assume that they already know or that they SHOULD already know but when you tell them know that they still don’t have to abide by it. Remember, other people have their own agency. They can think, say, and do whatever they want to do. So just make sure when you tell people about your rule you take full ownership of your bucket and you don’t attach your emotional state to their actions. My birthday is kind of a big deal. I love celebrations and especially when they involve me. I had a very good friend that forgot my birthday two years in a row. I was super hurt that she didn’t remember. She didn’t call. She didn’t say anything. In my manual, I had a chapter for her and what I felt she should do and think on my birthday and when she didn’t I felt sad. Now really, did SHE make me sad? No, it was my thoughts about it and the meaning I attached to her inaction that made me sad. Maybe to her birthday’s aren’t that big of a deal. How would she know if I didn’t tell her it was important to me? I can make a request of her in the future. I can tell her that I love birthdays and that I’d appreciate it if she call or say something. Some of you might be arguing and clinging still to the belief that she should just KNOW. If I was important to her, she’d just know. And to that I want to ask what’s the upside to believing that? Is there one? I’m going to argue and say no. There’s not because it’s a thought that causes me pain, unnecessary pain because I don’t know that it’s true. I don’t know if she truly knew it was my birthday and purposefully didn’t say anything. So why would I want to think and feel like she did? It would only cause me pain. There isn’t an upside to that. Requests are beautiful things. It give others an insight into your preferences that they couldn’t know any other way. It gives them an opportunity to learn things about you. The pain comes from thinking they should already know them and they don’t, in believing that things should be different and they’re not. Learn to make requests of people but here’s the thing, don’t hand over your bucket with those requests either. Make requests but decide that no matter what they do or don’t do you can still feel how you want to by your thoughts. Notice all the should’s. If you can get to a space where you fully take responsibility for your bucket and how you want to feel then your life becomes so much lighter. The weight of expectation is gone because when you carry that heavy manual around with you, telling you how others should or should not behave around you, you’re at the whim to whatever they do or say. If we can get to a place where we just let others be themselves and you be you there is peace. You get to decide who you want to be, what kind of person you want to be, and what you believe makes you a good person. Going back to my experience with the lady at the store. After I realized that she’s operating from a chapter in her manual and it was simple for me. I just decided that I could just let her be wrong about me. I just let her be her and let her decide what she wanted to think. We’re so bothered by what other people think of us and think about us that we go to great lengths sometimes to make them understand you, to fix their thoughts and opinions about you. In your manual they shouldn’t even think those things about you or (don’t forget the tag) you’ll feel a certain way. But this type of thinking and operating is the cause of so much pain. What if you just simply let them be wrong about you. You know you’re not that way. You know you’re pretty amazing and if you don’t, I’m just gonna tell you, you are! Drop that chapter in your manual. I promise you’ll find so much peace when you do this. Practice letting them be wrong about you. It’s important for us to check in with ourselves and see if these chapters in our manual is serving you. Is it helping you to show up as your best self? When I think that my friend should have remembered my birthday and she didn’t. I must not be important to her. Is there an upside to hanging on to that chapter? No, of course not. Thinking those thoughts, how will it make me feel? Sad, right? What do I do when I’m sad? Avoid her? sulk? Is that showing up as my best self? When I think, I would have really appreciated if she remembered my birthday, maybe I should I tell her that. Is there an upside to these thoughts? absolutely. How do those thoughts make me feel? motivated? encouraged? When I’m motivated and encouraged, how will I show up? What would I do? Go talk to her, make a request. Is this showing up as my best self? Manuals are huge. Everyone has them. It’s important to get in touch with your manual. It’s a window into your world, your likes, dislikes, preferences, and what things bother you. Once you’re aware of what’s in your manual then you can decide what you’re going to do with it. Maybe you toss it, maybe you learn to make requests, and yes, maybe you decide to keep some chapters. Whatever you decide to do just check in with yourself and see if this is helping you to become your best you. I have a sidenote that I just want to bring up. These expectations and rules are different than having rules and expectations at home, school, and work. There are rules and expectations in the world that you’re expected to abide by. If you don’t there are consequences. But these rules are different from your manual’s rules because there’s no emotions tied to them. Quick example: If my teacher assigns homework and I decide not to do it there’s going to be a consequence. My teacher isn’t going to go home any cry because I chose not to do my work. Same thing in a work place, if I don’t do what is asked of me, I could get fired. My boss isn’t going to take personal offense. At home, when our parents give you rules that you’re expected to live by and you don’t, there’s going to be consequences. It isn’t, you have to do the dishes or I’m going to cry and think you don’t love me. Do you see the difference? We still have expectations and we aim for our goals but we separate our emotional ties to the actions or words of others. Also, just because other’s can say, do, think, feel however they want to it doesn’t mean you have to stick around either. If they’re not doing something you agree with or that fits your preferences, you don’t have to stay. You have your agency too. We each have preferences for a reason. You have choices. It’s just important to be made aware of why you’re thinking and feeling this way. Then you can intentionally decide what’s best for you. 1.) 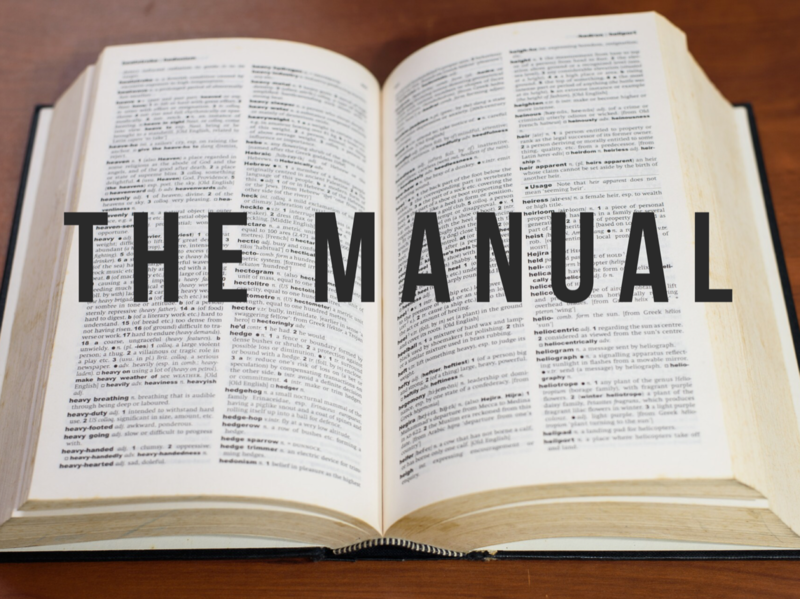 Manuals, a book, a large book of rules that we’ve written for other people and how they should or should not treat us for us to feel a certain way. 2.) No one see’s these rules so if you value them and want others to treat you a certain way, you should learn to make requests. 3.) Always take ownership of how you feel. Other’s don’t make you feel anything. You’re thoughts about it does. 4.) Do a check in with yourself and see if the chapters in your book are still serving you and helping you to show up as your best self. In other words, we’re pretty quick to whip out or add to our manuals of what we think others should or should not be doing but instead what is going to be the most useful and beneficial is deciding what you’re going to do, what you’re going to think, feel, and become. Who do you want to be? What kind of person do you want to show up as? Spend less time wishing things were different, wishing others were different and instead use that time to focus on becoming your best self. Start questioning all the should’s and shouldn’ts and see if it’s time for a revision to your chapter. You got this my friends. Have a great week!